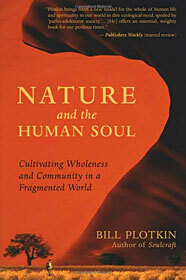 Bill Plotkin, Ph.D., is a depth psychologist, wilderness guide, and agent of cultural transformation. 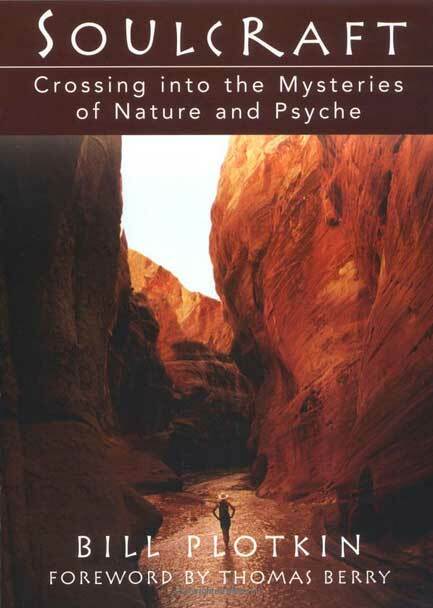 As founder of western Colorado’s Animas Valley Institute in 1981, he has guided thousands of women and men through nature-based initiatory passages, including a contemporary, Western adaptation of the pan-cultural vision quest. Previously, he has been a research psychologist (studying non-ordinary states of consciousness), professor of psychology, psychotherapist, rock musician, and whitewater river guide. In 1979, on a solo winter ascent of an Adirondack peak, Bill experienced a “call to adventure,” leading him to abandon academia in search of his true calling. Bill is the author of Soulcraft: Crossing into the Mysteries of Nature and Psyche (an experiential guidebook) Nature and the Human Soul: Cultivating Wholeness and Community in a Fragmented World (a nature-based stage model of human development through the entire lifespan) and Wild Mind: A Field Guide to the Human Psyche ((an ecocentric map of the psyche — for healing, growing whole, and cultural transformation). His doctorate is in psychology from the University of Colorado at Boulder. 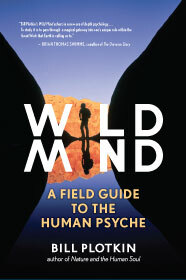 Since 1980, depth psychologist Bill Plotkin has been guiding women and men into the wilderness — not just the outer wilderness of redrock desert canyons and snow-crested mountain ranges of the American West — but, more to the point, into their inner wilderness, the wilds of the soul. He calls this work soulcraft. There is a great longing in each one of us — a longing to uncover the secrets and mysteries of our individual lives, to find the unique gift we were born to bring to our communities, and to experience our full membership in the more-than-human world. This journey to soul is a descent into layers of the self much deeper than personality, a journey quite distinct from the transcendence aspired to in many eastern spiritual disciplines. In the contemporary Western world, we live as if the spiritual descent is no longer necessary or with no awareness that such a journey is meant for each one of us, not just for the heroes and heroines of mythology. Soulcraft is a modern handbook for the journey of descent: what it is, why it is necessary, how to recognize the call to descend, the necessary prelude and preparation to the descent, what the process of descending looks and feels like, and a set of nature-based practices to initiate and quicken the descent and to maximize its soul-making benefits. A border crossing into mystery, Soulcraft is rooted in depth psychology, wilderness experience, and the poetic tradition. It is not an imitation of indigenous ways, but a contemporary nature-based approach born from the landscapes of the American wilderness, the traditions of Western culture, and the cross-cultural heritage of all humanity. Filled with stories, poems, and guidelines, Soulcraft introduces over 40 practices that facilitate the descent to soul, including dreamwork, wilderness vision fasts, talking across the species boundaries, council, self-designed ceremony, nature-based shadow work, and the arts of romance, being lost, and storytelling. If it is true, as Plotkin and others have observed, that we live in a culture dominated by adolescent habits and desires, then the enduring societal changes we so desperately need won’t happen until we individually and collectively evolve into an engaged, authentic adulthood. With evocative language and personal stories, including those of elders Thomas Berry and Joanna Macy, Nature and the Human Soul describes how to raise children who are in love with life and learning; how to help teenagers develop personalities that are not only socially successful but also authentic and deeply imaginative; how to grow into a fulfilled, soulful adulthood contributing unique gifts to the greater Earth community; and how to mature into a genuine elderhood of wisdom and cultural leadership. Bill Plotkin guides every reader, stage-by-stage, on the journey toward wholeness and an active, contributing engagement with the world. Nature and the Human Soul describes the challenges and benefits of the eight nature-and-soul-centered stages of life. Each stage is illuminated by the pairing of a human archetype with an Earth archetype: the Innocent in the Nest (early childhood), the Explorer in the Garden (middle childhood), the Thespian at the Oasis (early adolescence), the Wanderer in the Cocoon (late adolescence), the Soul Apprentice at the Wellspring (early adulthood), the Artisan in the Wild Orchard (late adulthood), the Master in the Grove of Elders (early elderhood), and the Sage in the Mountain Cave (late elderhood). Following a discussion of how Western society fails to provide adequate support for any of the stages of human development, Plotkin goes on to offer practices and principles that assist the reader to ripen into a more complete and genuine adulthood and eventually an elderhood of wise caring for the more-than-human world. Based on nature’s cycles and on the developmental patterns of the healthiest 15 percent of Western people, Nature and the Human Soul helps every reader discover and embody his or her potential and personal destiny. Equally important, Plotkin offers us a way to progress from our current egocentric, aggressively competitive, consumer society to an ecocentric, soul-based one that is sustainable, cooperative, and compassionate. At once a primer on human development and a manifesto for change, Nature and the Human Soul fashions a template for a more mature, fulfilling, and purposeful life — and a better world.